When you bring your pet to visit the veterinary team at Pennington Animal Hospital in Huntsville, you can rest assured you're choosing a compassionate, skilled partner that puts your pet's health first. Dr Harry Pennington and Dr. Wendy Pennington are experienced caregivers dedicated to establishing a long-lasting personal relationship with you and keeping your pet’s best interests in mind. 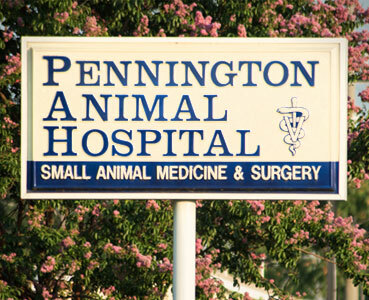 Pennington Animal Hospital was founded in 1992 as the first practice in Huntsville to address the needs of felines in Madison County. Under the guidance and expertise of Dr. Wendy Pennington, and with the help of the American Association of Feline Practitioner's Cat Friendly Practice Program, we are committed to making all visits to our hospital with your cat as accommodating and stress-free as possible. The centerpiece of your pet's healthcare plan at our animal hospital in Huntsville is regular pet wellness care, which includes comprehensive annual examinations, customized immunizations and parasite prevention. Identifying issues before they become serious is both the key to long-term good health and to keeping the lifetime cost of caring for your pet as low as possible. If your pet becomes sick or injured, our dedicated veterinarians and medical team are here to provide the compassionate, skilled veterinary care your pet needs. With our internal medicine, diagnostic and surgical capabilities, we have the necessary tools to get you answers and treatment recommendations, minimizing your pet's discomfort and your worry. When you bring your pet in to see us, we want you to feel confident your pet is receiving the best care possible. That's why we take time with your pet at every visit, answer any questions you have and make sure you have the information you need to be the best possible caregiver for your beloved companion. Selecting a veterinarian is one of the most important decisions you make as a pet owner. Please take some time to read about all that our Huntsville veterinary team can do for your pet and about why you should trust us with your pet's health, now and for years to come. If you have any questions or would like to schedule an appointment, please call 256.883.4148. 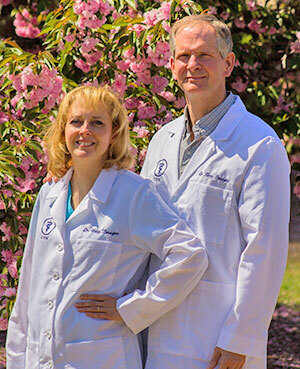 Pennington Animal Hospital accepts all major credit cards, debit cards, cash and CareCredit. Full payment is due upon completion of services. Giving back through volunteer work and sponsorships is one of the many ways our Huntsville veterinarians and staff at Pennington Animal Hospital help area pets in need, and say thank you to the Madison County community that is such a big part of making our practice successful. We work with Huntsville Animal Services, the Greater Huntsville Humane Society, and A New Leash on Life and the Spay/Neuter Action Project (SNAP). Dr. Harry Pennington is also an active member of the Greater Huntsville Rotary Club. The doctors at Pennington have sponsored the Spina Bifida Association of Alabama's Huntsville Bowl-A-Thon for a number of years.